Shipwire provides cloud-based logistics, shipping software and eCommerce order fulfillment services from warehouses around the world for companies of all sizes. Shipwire's industry-leading enterprise logistics platform helps you grow sales, expand into new markets, and delight your customers by eliminating the hassles of shipping and storage. Online sellers send their inventory to one or more Shipwire warehouses located around the globe, and instantly connect Shipwire to their online store or marketplace. Shipwire uses "least-cost routing" to optimally pick, pack and ship the order to the buyer faster, and for less. The Shipwire integration with Nexternal provides a world-class solution for managing your store's order fulfillment, with global reach for your products and excellent support. 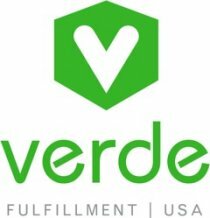 Verde Fulfillment USA (located in Idaho) is the premier eco-friendly 3PL for the US market. Efficient, friendly and fully integrated with Nexternal for automated order processing, Verde fulfillment provides complete, global order fulfillment services, returns processing, item inspection, relabeling services, warehousing and inventory management services. eCommerce shipments, large retailer shipments, pallet movements and full-truckload shipments are part of what we do daily. Fully integrated with Nexternal and with warehouse locations in both Michigan and California, Fulex Logistics provides expert order fulfillment and warehouse management services. Core competencies include integrated fulfillment and customer care services for product, literature, promotional and point-of-sale (POS) distribution needs. Services include eCommerce Fulfillment, Catalog Fulfillment, Promotional Fulfillment, Assembly / Kitting, Inventory Management, Retail Distribution, Continuity Programs, Reverse Logistics, Warehousing, Transportation Management, Logistics Consulting, and Break-Bulk Distribution. Saddle Creek Logistics is a leading third-party logistics services company that provides integrated logistics solutions and services - nationwide. Through an extensive network of facilities, broad range of services and advanced technology, Saddle Creek develops comprehensive solutions clients can rely on to satisfy their customers and enhance their brands. Saddle Creek's core services include Omni-channel order fulfillment, call center, reverse logistics, shared and dedicated warehousing, small parcel, TL and LTL freight management, product kitting, packaging and assembly. Las Vegas Fulfillment was founded in 1995 and since then has become a leading provider of innovative fulfillment solutions for medium to large sized companies. Our dedication to quality and customer service has earned us the right to be associated with many well-known Fortune 500 companies. Las Vegas Fulfillment's primary goal is to conduct business with our clients in a professional and timely manner. Our clients have discovered that Las Vegas Fulfillment is unique from other warehousing, distribution and fulfillment companies because we believe that each company has specialized needs in the handling of their materials. Las Vegas Fulfillment understands these issues and will work together with your staff to make certain your products are handled according to your specifications. If your company has fulfilled orders for merchants on the Nexternal eCommerce platform and would like to be considered for listing on this page, please email .